Ingredients are simple and everything required is available at your nearby grocery store. You would need One Pumpkin, One Egg, Some Cinnamon, 4 spoons of Tea tree oil, 2 spoons of Vitamin E oil, 2 spoons of Honey and some Organic Yoghurt. Mix them together into a thick paste. If required make use of an electric mixer. And just like that, your Pumpkin mask is ready. This paste is required to be applied within two hours of preparation or if you are refrigerating it, then you can use it for a maximum of 3 days. Once your Pumpkin face mask paste is ready, you need to clean your skin with lots of water and facial cleanser. The purpose is to open all your pores and remove any dirt particles, make up and oil from your skin. Once you have cleaned your face, pat it dry, and then apply a handful of this paste on to your face with the help of your fingers. Evenly spread it into a thick layer completely covering your face area. Leave the mask for 30-40 minutes to dry off and then rinse it off with warm water and cotton cloth. Once you apply the mask, in the beginning there will be a soothing sensation and after 5 minutes, there will be slight tingling and irking sensation because of the enzymes in play which will clean your pores and tighten your skin. 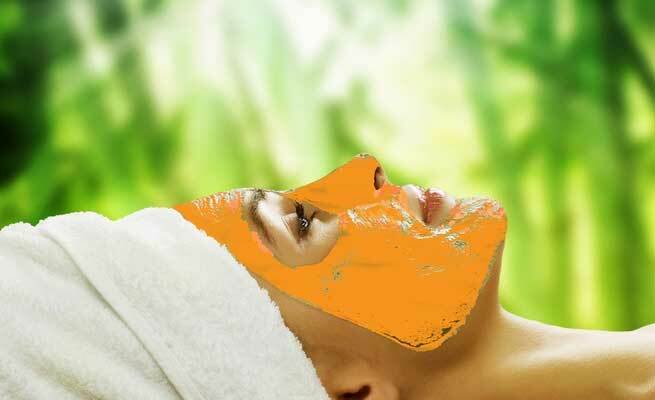 After removing the pumpkin mask, apply your usual toner, and then your usual moisturiser on the face. Just after a single use of this Pumpkin mask, you will see a noticeable change in your skin texture; skin will be softer and glowing. 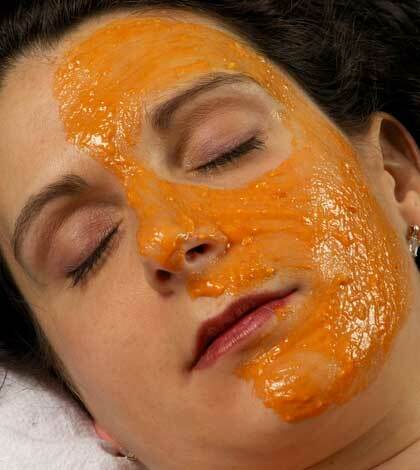 It is recommended that for long lasting skin changes use this Pumpkin mask for atleast 4 times each month.